HABIT: Upright or trailing; clusters of red, orange, pink, or white flowers. Native to South Africa. 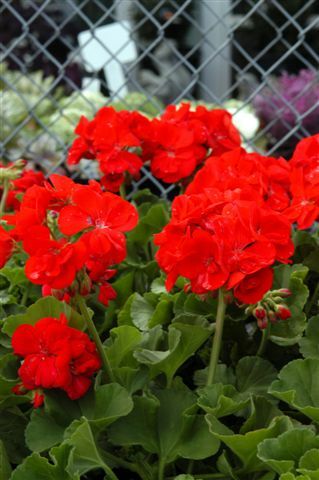 Scented geraniums bloom only once a year and are grown mostly for their wonderfully varied fragrances. The genus Geranium is the true geranium. It is a smaller plant, but perennial. CULTURE: Sun or part shade, well prepared beds with good drainage. Cool weather is its favorite time of the year. 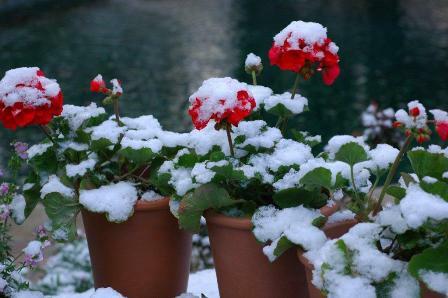 Plant in late winter from containers. A little cold weather is good for them. USES: Annual gardens, pots, hanging baskets. PROBLEMS: Cutworms, caterpillars, summer heat.